Ravenna – There will be a Mass of Christian Burial held on Wednesday, February 6, 2019 at Immaculate Conception Church, with the Very Rev. Msgr. Michael J. Cariglio and Rev. 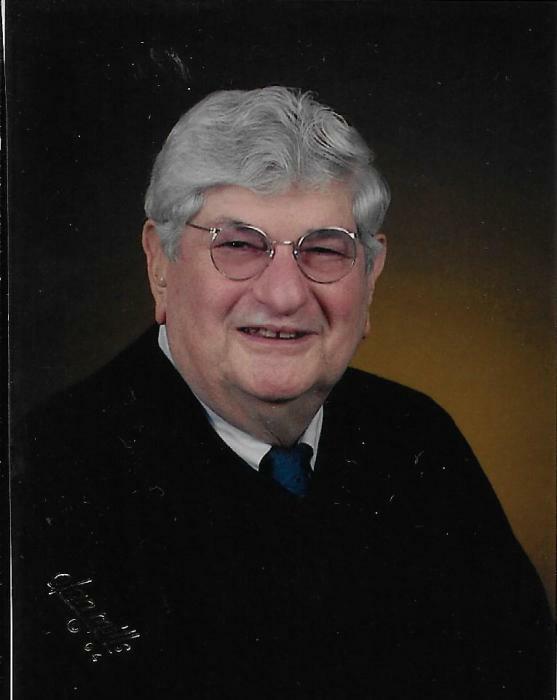 William B. Kraynak officiating for Nunzio Valentino Cariglio, 93, of Ravenna, who passed away peacefully Saturday morning, February 2, 2019 with his loving family by his side. Nunzio will always be remembered and loved by his family and friends for his generosity, sense of humor and ability to be a friend to everyone he met. Although he and his wife had no children of their own, Nunzio loved his nieces and nephews as his own children and he was known to them as the “Good Shepherd”. He was born March 25, 1925 in Ravenna, the son of Lorenzo and Lucretia (Jannizzaro) Cariglio and was a lifelong area resident. Nunzio heard the call of his country and proudly served in the United States Army during World War II. He earned the rank of Private First Class and served with the Calvary Division Troop A, 7th Calvary Unit in Tokyo, Japan. He was awarded the following decorations for his service to our country; the Good Conduct Medal, the Victory Medal, the Asiatic-Pacific Theater Ribbon, the Japan Medal, and the Army of Occupation Medal. Nunzio received an Honorable Discharge on November 16, 1946 at separation center Ft. Sheridan, Illinois. Nunzio retired in 1988 from the manufacturing department of Good Year Tire and Rubber. He was a member of the VFW Post 1055 and Immaculate Conception Church. Nunzio had many passions throughout his life. He enjoyed traveling, singing, going out to dinner and socializing with family and friends. He also enjoyed gardening, was an avid sports fan and attending the Geauga County State Fair where he always had to have the spare ribs. His wife the former Jacqueline Jordan whom he married October 2, 1948 died July 10, 2001. He leaves behind to hold onto his precious memories his numerous nieces, nephews, great nieces, great nephews, cousins and a special friend Maria Lara. Besides his parents and wife, Nunzio was preceded in death by four brothers Michael, Nick, Joseph and George Cariglio, and three sisters Mary Cariglio, Viola Jordan and Lillian Rothermel. Family and friends may call on Wednesday, February 6, 2019 from 10:00 am until 10:50 am at Immaculate Conception Church, 409 W. Main St. Ravenna. Arrangements have been entrusted to the professional care of the Rossi & Santucci Funeral Home, 4221 Market St., Boardman. Nunzio’s family would like to extend their heartfelt appreciation to his caregivers Michelle, Stefanie, Betty and Gayle for all the care and compassion that was shown to them and Nunzio over the years and throughout this difficult time. In lieu of flowers material contributions may be made in Nunzio’s name to Hospice of The Western Reserve, 17876 St. Clair Ave., Cleveland, Ohio 44110. Family and friends may visit www.rossisantuccifh.com to view this obituary, sign the guestbook and send condolences to the Cariglio family.